Manufacturer of custom decorative iron for the home such as: furniture, railing, gates, doors, arbors, yard screens and home accents. Also including small to large scale CNC plasma cutting. Provide custom hand-forged architectural ironwork for the home and garden, including handrails, garden gates, range hoods, fire screens. Original Ironworks is a premier ornamental iron manufacturer specializing in high-end residential metal products, Art pieces, and design consultation. Since 1994, Boise Metal Works has custom designed and fabricated metals throughout Idaho, Boise and the Treasure Valley. Producing quality industrial applications, commercial construction projects, and residential real estate development has made Boise Metal Works a leader in the metal fabrication industry. Anvil Iron Works gives Home and Business Owners in Nampa, superior and affordable services including: Custom Wrought Iron Railings, Sturctural Steel, Custom Iron Fence, Custom Iron Furniture and Security Gates. Our mission: To provide Nampa, Mtn. Home, Homedale, Sun Valley, and Boise with excellent railing and installation as well as additional services. Always be on time, make sure the job is done right. Ornamental custom iron work. 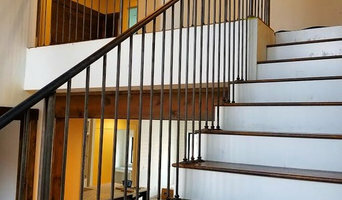 Staircase railings, furniture and fixtures, drive and walk gates, ornamental fencing, overhead structures, wine cellar doors and fireplace screens. Why should I hire a Boise, ID blacksmith or metal worker? If you dream of elaborate iron gates and railings surrounding your property, or a beautiful Juliet balcony or outdoor iron balustrades, then it’s essential to hire wrought iron workers that can create and install these beautiful structures professionally. If you want to save a little and not go for hand-crafted, blacksmith-made pieces, you’ll still be able to find Boise, ID metal fabricators that create railings and gates in bulk in a number of styles that will fit with your house design. 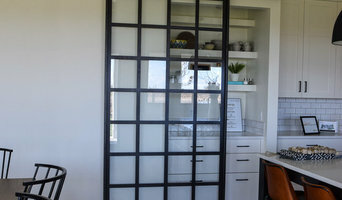 Talk to an ironwork professional or blacksmith in Boise, ID from Houzz to see what wrought iron work or metal pieces they can create or install in your home. Here are some related professionals and vendors to complement the work of wrought iron workers: Fencing & Gates, Decks, Patios, Sheds & Summerhouses, Cladding & Exterior Contractors. Questions to ask a Boise, ID blacksmith or metal worker? 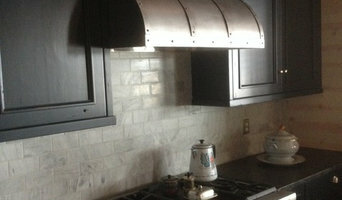 Find an ironworker or blacksmith on Houzz. Narrow your search in the Professionals section of the website to Boise, ID blacksmiths and ironworkers. You can also look through Boise, ID photos to find examples of ironwork that you like, such as iron gates or railings, then contact the metal worker who fabricated them.